There are few opportunities during the year to show off the best and brightest of America’s skilled nursing facilites, and AHCA recognizes every opportunity with enthusiasm. It’s almost June, which means U.S. News & World Report has just released its annual Best Nursing Homes List for 2012. While we believe several additional factors should be considered in the listing, this is a tremendous recognition of skilled nursing facilities that have an ongoing and concentrated focus on person-centered care. Eleven five-star facilities from UHS-Pruitt Corporation, a Georgia-based corporation with over 200 care locations throughout the Southeast U.S., were included in this year’s listing. To qualify, facilities must receive 5 stars, the highest overall rating from the Centers for Medicaid and Medicare Services (CMS) 5 Star Rating System. The overall rating pertains to a facility’s performance in nurse staffing, health inspections, and medical care. Check out the full state-by-state listing to see other AHCA members included in the list. As providers know, quality improvement is a dynamic, ongoing process and care should be taken when selecting a skilled nursing facility for a loved one. In addition to reviewing a facility’s 5 star rating, consumers should visit the facility, talk with other customers, and conduct their own research to see what each facility has to offer. "While there is something special about all of our service locations, these centers clearly stand out as leaders in their field, and I could not be more pleased with the results," says UHS-Pruitt Corporation Chairman & CEO Neil L. Pruitt, Jr.
As we look ahead to yet another hurricane season, which begins June 1, AHCA/NCAL encourages all long term and post-acute care providers to review existing disaster plans and other preparedness measures. 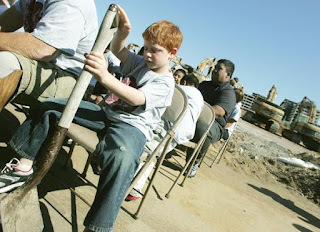 Nothing could have diverted deadly tornadoes like the one that devastated Joplin, Missouri – or the more than 160 killer tornadoes that swept across Alabama, Arkansas, Georgia, Louisiana, Mississippi, Tennessee and Virginia a month earlier on April 27, 2011. But, time and again, we have witnessed facilities put plans into action that have kept residents from harm and set recovery in motion almost immediately. Does your plan have the correct names, titles, or phone numbers? If you have had any personnel changes during the year make sure the plan and all copies reflect the change. Do you have a list of essential personnel that are needed at the time of an event? Does your staff know who is considered essential? Do you have an identified command center? Does this command center have emergency power? Does the staff know where the command center is? Does staff know what is in the emergency plan or the location of the plans? To guide facilities and professionals through the process of developing a plan, AHCA, the California Association of Health Facilities (CAHF), the Florida Health Care Association (FHCA), and The Center for Hospital Incident Command System Education and Training created the Nursing Home Incident Command System. Want to learn more about this? Watch our videos featuring AHCA Disaster Planning Committee Chair & Texas Health Care Association President Tim Graves and committee member and CAHF’s Clinical Affairs Director Jocelyn Montgomery. For more information, check out the AHCA Disaster Planning website, and plan to join us at the 63rd Annual Convention & Expo in Tampa to participate in the disaster planning education session. In a blog post earlier this month, the NPR Family Matters series continued its exploration of the emotional, financial, and personal challenges that families face when deciding to place a loved one in the care of others. In its third installation, “Discovering the True Cost of At-Home Caregiving,” series reporter Marilyn Geewax reports on the daunting challenge of paying for long term care services. In a previous post, LTC Leader discussed the importance of planning for future care needs, both for one’s self but for family members, too. While financial planning is paramount to managing expenses, it is often not the reality for many of America’s struggling families. In this third entry, Geewax not only compares the finances involved in various care settings, but also weighs in on the personal and emotional implications of at-home caregiving. According to the oft-mentioned MetLife Market Survey, nearly 10 million people over the age of 50 are caring for their aging parents, a number that has tripled over the past 15 years. Though people may first feel that at-home caregiving is the most appropriate, whether for financial or emotional reasons, many often find that at-home care can be incredibly costly, as well as burdensome on the family. Geewax notes that a private room in a skilled nursing facility can run about $87,000 annually, but in comparison to the finances that families often don’t foresee, at-home care can be much more costly. For example, the article notes that for the typical woman (two out of three at-home caregivers are women), “lost wages due to dropping out of the labor force because of adult caregiving responsibilities averages nearly $143,000.” When considering the lost pension plans and Social Security benefits, and the cost of medical supplies and insurance fees, the family’s loss can nearly double. As those in the long term care profession understand, costs not only amount to purely fiscal impacts. In the past, nursing homes were treated as a housing option for elderly people. This is not true today. Skilled nursing care centers are part of the health care continuum, and they answer a growing need to care for not only the nation’s elderly, but also individuals with disabilities. The level of acuity of individuals entering facilities continues to rise, meaning facilities are caring for much sicker and more dependent individuals than ever before. When families are considering how to properly care for their loved one, the most important factor should always be the individual’s specific care needs. Often, families will find that they simply cannot provide the level of personalized care that is found in skilled nursing centers. The caregivers within these facilities are not only trained, but they love what they do. They choose to live a life dedicated to caring for residents and they often become part of the families themselves. For more information on the NPR series, visit NPR.org. Alzheimer's Treatment in this Lifetime? This week the Obama administration released the details of a national plan to address Alzheimer’s disease. The National Alzheimer’s Project Act (NAPA), is a large scale program to prevent and treat Alzheimer’s disease via a number of approaches. The five broad goals of the plan are (1) prevent and effectively treat Alzheimer’s disease by 2025; (2) enhance care quality and efficiency; (3) expand supports for people with Alzheimer’s disease and their families; (4) enhance public awareness and engagement; and (5) improve data to track progress. While the goals seem lofty, the strategies to achieve them are specific. For example, Strategy 2.F: Ensure that People with AD Experience Safe and Effective Transitions between Care Settings and Systems, calls for hospitals to identify best practices for reducing injuries and complications than can occur during care transitions for all people, including frail elders and individuals with other chronic conditions. It also calls on the Department of Health and Human Services (HHS) to strengthen the role of local centers in implementing care transition models that engage older adults, individuals with disabilities and their informal caregivers. And HHS has already created a website to lend support to caregivers, www.alzheimers.gov. Perhaps the biggest part of the plan is its aim to develop effective prevention and treatment approaches for Alzheimer’s disease and related dementias by 2025. That is long enough for baby boomers to see the change in their lifetime, and, according to current life expectancy estimates, short enough for middle aged Americans with the potential for Alzheimer’s to benefit from it. The announcement has spurred a flurry of discussions on Alzheimer’s disease in the media, including one by television star and musician David Cassidy, on CNN earlier today. Recently Dominic Chianese, who stars in the hit HBO series The Sopranos, stopped at The Methodist Home in Washington, D.C. to deliver a musical performance for the residents and staff. As we blogged about earlier, Dominic has been performing in nursing homes for over 30 years and is the founder of Joy Through Art, a 501 C-3 organization dedicated to improving lives of nursing home residents through music and performance. Read more about Dominic’s visit to D.C. here, and check out the video to watch the HBO star serenade residents and staff. The AHCA/NCAL 63rd annual Convention and Expo is heading to sunny Tampa! Get a head start by taking part in our early bird registration, going on until July 20th. Come and be among thousands of other long term care providers October 7-10 for a four-day, value-packed event complete with top education forums on the latest long term care topics, peer-to-peer networking activities, world-class speakers, an innovative expo hall, and great entertainment. This year’s Opening and Closing General Session Keynotes will enlighten and inspire you. Best-selling author of Good to Great and How the Mighty Fall, Collins will take a look at how great companies can self-destruct. He has worked with senior executives and CEOs at over a hundred corporations and will share his findings of why some companies thrive in uncertainty and chaos and others do not. Astronaut, retired U.S. Navy captain, best-selling author, and an experienced naval aviator, Kelley knows the value of leadership and teamwork. 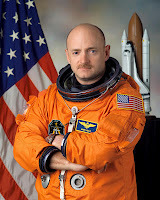 He flew his first mission in 2001 aboard Space Shuttle Endeavor; the same space shuttle he commanded on its final flight in 2011. 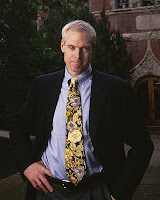 Kelly became the center of attention showing personal strength in a time of difficulty after the January 2011 assassination attempt on his wife, former U.S. Congresswoman, Gabrielle Giffords. He will speak about his personal experience as a caregiver, as he did in their best-selling memoir, Gabby: A Story of Courage. Register today. It’s fast and easy. This year’s convention provides attendees a full slate of education programming designed to support the AHCA Quality Initiative and to address other issues related to the delivery of solutions to provide quality care to our residents and their families. Sessions will use case studies and best practices to illuminate important issues and trends in the long term care profession. We have sought and retained some of the best minds in long term care to share their knowledge with you. Education sessions are now listed online. With over 70 programs in 13 education tracks to choose from, you can earn up to 16 CEUs. Attendees and Exhibitors, you MUST register for the convention and expo before your requests for hotel reservations will be processed and confirmed. Click here to register now. Congressman Upton also had accepted an invitation from ACMCC Administrator Bill Hekker, who led the group on a tour of his facility, which provides short-term rehabilitation, long term care, adult day care, and memory care in a home-like environment that is tailored to meet residents’ individual rehabilitative and care needs. 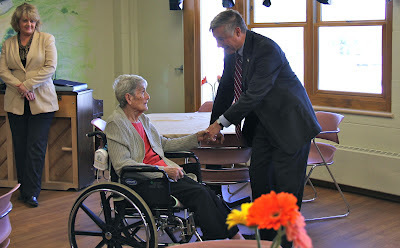 ACMCC Resident Lenore Paul greets Congressman Fred Upton (R-MI) . Bill Hekker knew that, after touring ACMCC, Congressman Upton would return to DC with a better understanding of what it takes to provide the kind of skilled nursing care and specialized programs his Allegan residents require. What he didn’t plan on was the very thing that made the Congressman’s visit so memorable – the staff and residents – especially Lenore Paul. As you can tell from this photos, Lenore got the Congressman’s attention, literally grabbing the hand of the chair of the powerful House Committee on Energy & Commerce and bringing him a bit closer and saying, “Upton? I went to school with someone named Upton….” Sure enough, Lenore had gone to school with the Congressman’s father. Finding those sorts of connections – between your representatives in Congress and your community – are not uncommon during a facility tour. From an advocacy perspective, those connections are priceless – particularly when you’re dealing with a chair of the Committee with the broadest jurisdiction of any authorizing body. Those few words between Congressman Upton and Lenore Paul will have a lasting effect – an important thing to remember for the next time the House Energy & Commerce Committee takes on consumer protection, affordable energy, environmental quality, food and drug safety, interstate commerce, public health research or telecommunications policies or reviews the work of HHS – just one of the cabinet-level departments the Committee oversees. To learn more about facility tours, contact AHCA Advocacy. In April, LTC Leader introduced readers to the NPR series “Family Matters,” a print and audio series that is focused on the challenges many families are facing in caring for their elderly loved ones. In the second installation in the series, reporter Marilyn Geewax turns to an often-daunting aspect of providing care: financial planning. Focusing on the experiences of the featured families, “Preparing for a Future That Includes Aging Parents” tackles the financial reality of providing care for loved ones. According to a MetLife report, nearly 10 million adult children are caring for aging parents, yet only 13 percent of surveyed workers believe that the need for long term care would impact them and their families. It is this dichotomy between perceptions of need for long term care planning and the reality of an aging population that is creating today’s struggles for providing care. Children of Baby Boomers are experiencing a new struggle with aging parents. Americans are living much longer, on average, than ever before. While this is a sign of a prosperous nation, good health care, and improved quality of life, it also means that people are living longer as elderly people—meaning they may be sicker for much longer, as well. This can quickly mount up to additional costs for caring for these loved ones. To prepare, NPR suggests looking into several facets of financial preparedness. First, getting aging relatives to sign a power of attorney document allows adult children or caretakers to make decisions on behalf of that individual. Planning for individual finances with tools with as Mint.com is also recommended. As those professionals in the long term and post-acute care community know, many people are surprised to learn that government programs, like Medicare and Medicaid, do not always cover long term care stays. And, unfortunately, many people learn this lesson too late—after they’re saddled with growing health care bills. Is your facility sharing information about financial planning with residents and their families? One great resource for care information and financing options is CareConversations.org, where tips for saving money, having hard discussions with loved ones, and average costs for care are shared. Above all, the importance of planning for the future should not be minimized. In fact, 70 percent of people over the age of 65 will need long term care in their lifetime. Are you ready? In series of Boston Globe articles published earlier this week, reporter Kay Lazar focuses on a hot issue in the long term and post-acute care profession: the off-label use of antipsychotic medications. Recently, leaders in the LTC industry have taken a deep look at the often troubling use of antipsychotic drugs to attempt to manage the behavioral responses of persons with dementia, a use that the FDA considers off label. As the article points out, many individuals in nursing and assisted living facilities are living with some form of dementia. For these residents behavior is often an important method of communication, which can pose particular challenges for families, staff, and care providers. Too often, medication is used to modify such behaviors. Recognizing the need for rapid, measurable improvement in this area, the AHCA Quality Initiative challenges the Association’s members to safely reduce the off-label use of antipsychotics by 15 percent by December 31, 2012. If AHCA achieves its goal, then 18,400 fewer individuals will receive antipsychotic medications each year. This same goal was mirrored in the recently launched CMS Initiative to Improve Behavioral Health and Reduce the Use of Antipsychotic Medications in Nursing Home Residents. To reach these goals, the AHCA Quality Initiative emphasizes person-centered care, regardless of situation. Person-centered care, as a holistic approach to caring for our nation’s elderly, not only puts a focus on the individual, but it also encompasses many other important aspects of care, such as staff stability. As mentioned in the Boston Globe articles, there are clear links between a resident’s behavior and his/her interaction with staff. If a person knows his caregiver, and the caregiver knows the best ways to communicate with the individual, then it’s less likely that a negative behavioral response will be triggered. The more in-tune the caregiver is with the resident’s likes and dislikes, eating and bathing preferences, and what makes that person happy, the better the caregiver can adapt treatment, therapy, and daily lifestyle for the individual. AHCA has challenged its members to renew their person-centered care efforts not only through reduced use of off-label medications, but through staff stability, increasing resident satisfaction, and reducing hospital readmissions. The creation of such distinct and measureable goals by both AHCA and CMS indicates a real effort within the long term and post-acute care community to not just meet numbers for one year, but to create sustainable programs within their facilities that will benefit staff, caregivers, and—above all—the residents that are at the heart of care. And when the profession posed this challenge, facilities across the nation rose to the occasion. The Boston Globe series highlights two great examples of facilities that have adapted their care models. Life Care Center of Nashoba Valley is one of several facilities that are moving toward non-pharmacological, person-centered care approaches for persons with dementia. Nashoba, located in Littleton, tailors care to each resident by focusing on the qualities and preferences of the individual. According to the article, in 2010, the facility had zero residents who received antipsychotics without illnesses that warranted the drugs. Rather than revert to the use of medications, caregivers found other items that stimulated positive responses in residents, such as serving hot chocolate before a meal to pique one resident’s appetite, or drawing the shades for another so that the sunlight did not irritate his eyes. In another testament to the importance of person-centered care, Beatitudes Campus in Phoenix made changes to its caregiver-to-resident time ratio. At Beatitudes, caregivers spend 50 percent more time with residents than in the average facility. This allows the caregivers to see changes in behavior and to find solutions based on that individual’s preferences. With the help of available tools and resources, AHCA hopes to see even more positive shifts in quality care occurring in nursing facilities across the nation. Has your facility taken the initiative to reduce off-label use of antipsychotics? What are you doing to focus on person-centered care? Lead by example: share your story today!